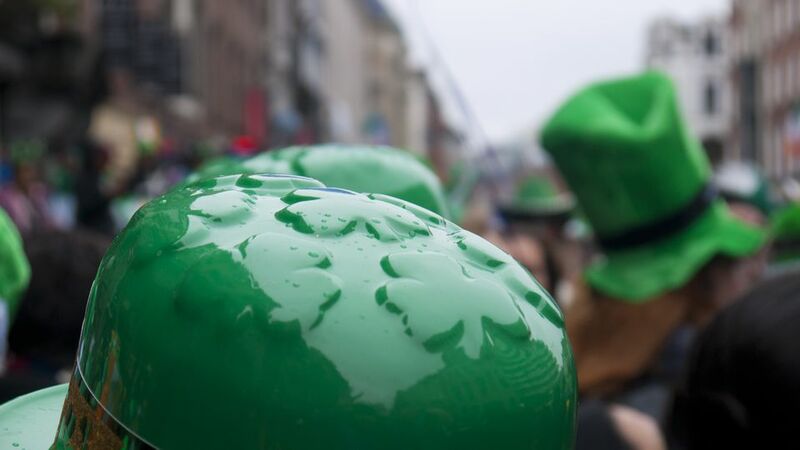 While St. Patrick's Day is a celebration of Saint Patrick one of the patron Saints of Ireland, it is also most definitely, the ultimate beer lover's holiday. So no matter whether you're going out to drink green beer, to church, or both you can find plenty to do in Nashville on St. Patrick's Day. Nashville is home to the St Patrick Catholic Church, located on 2nd Avenue South and was built in the late 1800's. It features one of the few remaining Second Empire-style buildings left in Nashville. Make sure that you take a look at their website as they have some spectacular photos galleries of their church. The free festival St. Patrick’s Day Festival at East Park features plenty of beer, food, and music. The best of Nashville welcomes the best of Ireland at the Music City Irishfest. Nashville throws the biggest, baddest St. Patrick's Day celebration this side of the Mason-Dixon line at the foot of Musica. The naked statues will sport their kilts once again while bagpipes call everybody to join in the dance. Join the St. Puppy's Day Festival in downtown Nashville at the Walk of Fame Park. Enter a Pet Costume Contest, Dress your pet up and get your Pet Photo done. St. Puppy's Day Parade at noon, Visit Retail Vendors to buy the latest and greatest pet items, Pet Adoption, Food vendors, K9 Demonstration, Live music all day and more. Fun for the whole family $5 at the door. Your four-legged pals are FREE! One of Nashville's favorite Irish Hangouts is, of course, Jimmy Kelly's Steak House. Jimmy Kelly's is a third generation family run business, originally opening its doors in 1934 and by maintaining it's excellent standards of food and friendly service, it has remained one of Nashville's Favorite Steakhouse's for decades. Guests also get a special treat as Les Kerr normally performs at Kelly's annually during their St. Patrick's Day Celebration. LOL Nashville The St. Patrick's Day" show is the perfect place to celebrate the holiday, as 12th and Porter serves both food and drinks throughout the show. The St. Patty’s Day Kegs & Eggs 5K / 10K Run/Walk takes place in the Gulch annually and will, no doubt be fun. There are several Irish Pubs and other local venues that offer a ton of drinking and dining fun on St Patrick's Day. McFadden's is 2nd Avenue's newest Irish hangout and it's so hoping that you might even see a "bunny" or two hanging out there. Located in Opryland Hotel, Findley's Irish Pub normally offers a welcoming Irish Party for guests and locals who want to get their fill of Celtic Music and Guinness too. McCabe's Pub, located at 4410 Murphy Road, is known for being more of a sports bar but what the heck it's St Patrick's Day and the conversations will tend to expand to other topics a bit more. Downtown Franklin celebrates St. Patrick's Day every year with the Main Street Brew Fest. The Main Street Brew Fest is an opportunity for beer lovers to taste some of the latest local, national and international additions to an exploding micro-brewery market while exploring Downtown Franklin’s historic retail district. Wearin' of the Green Irish Day Parade and Arts and Crafts Festival is an annual event that takes place in the town of Erin, Tennessee which is located just west of Nashville in Houston County. This quaint rural town is your best bet when it comes to day tripping for St. Paddy's Day.